New ASX rules expected to come into force on 1 September 2016 are expected to deliver a serious blow to the attractiveness of reverse takeovers (RTOs) on the ASX. An RTO is a de-facto listing method allowing unlisted entities to become ASX-listed through an existing company that’s become inactive. 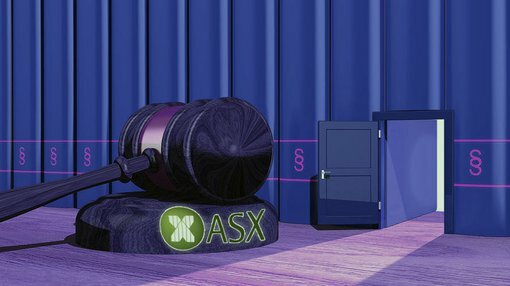 The ASX-listing process includes a comprehensive set of rules which all entities must abide by in order to have their listing approved by the ASX. In 2014, the ASX relaxed issuance rules and introduced new changes to the RTO process in order to help struggling companies find new buyers and inject fresh investment capital into the beleaguered mining sector. One of the key changes was the ability for companies to list with a valuation of less than 20c per share. The changes implemented by the ASX were well received and led to an immediate spike in RTO applications. 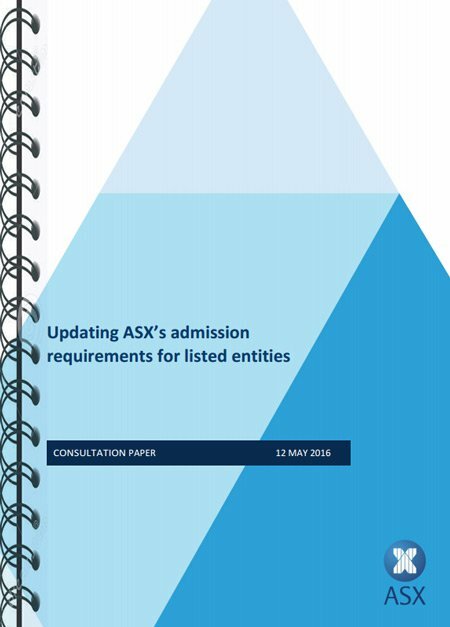 Two years on, the ASX has announced a consultation paper into what new measures will be enforced as part of the ASX’s listing rules, expected to come into force on 1 September 2016. Several proposals within the consultation paper suggest future RTOs will become much more complicated and will need to satisfy a greater number of conditions, thereby weighing on the popularity of RTOs. Increasing the consolidated profit requirement under the profit test for the 12 months prior to admission to at least $500,000. Lifting the Net Tangible Assets (NTA) threshold from $3 million to $5 million. Lifting the market capitalisation threshold from $10 million to $20 million. Introducing a rules-based 20% minimum free float requirement for ASX listings at the time of admission. Each security holder counted towards spread must hold a parcel of securities with a value of at least $5,000. Introducing a new requirement for entities to produce audited accounts for the last 3 full financial years. Amending Listing Rule 1.11 to require the overseas exchange on which a foreign exempt listing is listed to be one “acceptable to ASX” and also amend the assets test for foreign exempt listings to require such entities either to have either minimum net tangible assets of $2 billion (as is currently the case) or a minimum market capitalisation of $2 billion. All in all, the proposed changes are likely to scale back the vigour with which new companies took up the RTO route in recent years. 19 companies used the backdoor listing route in 2013, rising to 29 in 2014 and 59 in 2015. So far in 2016, 36 resource companies have been reborn as technology companies including entities such as Minquest (ASX:MNQ) and Xped (ASX:XPE). Overall, the ASX currently has 14 pending floats to be completed later this year. MSM Corp. (ASX:MSM), better known as Megastar Millionaire, who moved from minerals exploration to an online-variant of popular TV shows such as X-Factor and American Idol. The main reason RTOs have been so attractive is the perceived lower level of listing requirements compared with a traditional Initial Public Offering (IPO) listing. RTOs tend to have lower thresholds on their issue price, often come pre-loaded with existing investors and may require a smaller capital raising as part of the listing process. For some companies, the RTO route is a far better option especially if capital expenditure is a prime concern. For others, having a shareholder register that essentially backed a completely different business in a different sector, can be a point of contention and volatile price action as old investors scramble out of their holdings at the first hint of a price increase. The two big issues likely to be of most concern is the lifting of the minimum NTA requirement from $3 million to $5 million and the minimum market capitalisation from $10 million to $20 million. It is feared these two changes in isolation, will already undermine many companies’ efforts to list on the ASX given that RTO companies tend to be smaller and more capital conscious. The ASX is seeking responses to its proposals by 24 June 2016 and plans to introduce the proposed changes on 1 September 2016.